Thanks to all of you who vote for me. I won the Doing the Q at Monty's contest. You can go here to verify my win. 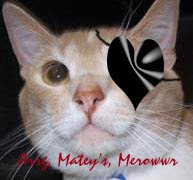 First contest I have ever entered since joining the Cat Blogoshper and I win. I won't let Derby forget this. We made it through the weekend. It has gotten much cooler around here and we have to snuggle to be warmer. Mum has taken to wearing long sleeves, socks and long pants too. Mum caught us both getting our fur tan in the window yesterday morning. Mum says Grampie is having some good days and some not so good days. Caterday, his purrthay was a good day. Sunday not so much, when mum got there just after lunch he just wanted to go to bed and sleep. Mum put out some suet for the birdies now that it is getting cooler so they have good stuffs to eat to give them energy. She took down the hummer feeder on Friday evening, then we saw a hummer on Caturday back by the butterfly bush. Not many flowers anymore for them to get foods from, so they should be moving south soon. The Pack - plays Da Bears on tonight on Monday Night Feetball. So we will be parked with mum on the couch tomorrow evening. Grampa Brett and the ViQueens - managed to win their first game againt the Lions. They won inpsite of turnovers, including 2 interceptions thrown by Grandpa. Lots of penalties too. The Colts - They won, beating them bucking Denver Broncos. Phooey! Mum has been running around or been gone most of the day. So we are just getting around to posting. First a celebration of birth, our Grampie cellybrated 95 years of life. Mum spent most of the day with him. Happy Day Grampie. By now you are probably sound asleep! This is a picture of him from last month, he was resting in his favorite spot, his recliner! While we were checking things out we found out that one of our little furiends from France ranned off to The Bridge today. 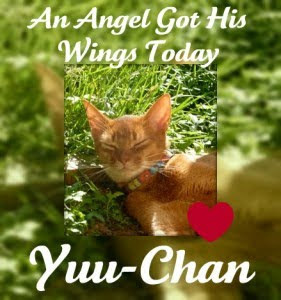 So farewll Yuu-chan, you were so young to leave us so soon. Farewell to Sniffie, you will be missed by your family. 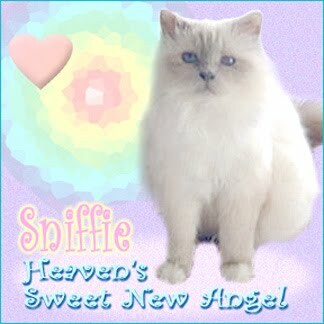 Lots of purrs to them, you will live on in their hearts. 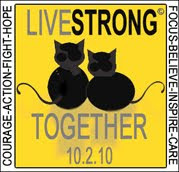 Don't forget for next week, the LiveStrong day for all of our beans who we know that have had or have cancer. Lots of purrs that people get their treatments and get better. Mum caught us on the back of the sofa a little bit ago. She was chatting with her furiend about Grampie and giving her an update. So here is the update. Grampie is less confuzzled tonight. He seems to be coming around!!! Mum is happy about that a nd said she actually got to have a conversation with him, not just asking him questions to which he really didn't want to talk. 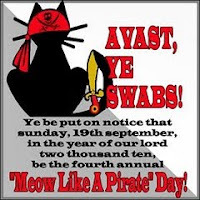 Gosh I had fun yesterday with Meow Like a Pirate Day. Dirty Jack Kidd, that is me pirate's name. I never had so much fun at my old home! Maybe that is why I ranned away. I will stick around here, I have so much fun. I gets so much love too! I even have started meeting mum at the door when she comes home from day hunting. Derby does it all the time. Otherwise I sit in the front window and watch for her. She waves at me while waiting to put the metal monster in its room. Grampie Update - doing OK, but mum thinks his confuzzlement is here to stay. He is calmer but doesn't remember things that happened recently. But he does remember her and Uncle Stormie and Uncle Flip. He even came up with a motto for the family. Sort of makes mum tear up when she thinks of it. Yep they are all one family and I guess Derby and I are part of that family too. Mum worked on sorting through lots of Grampies old books and then she hauled them off to a used book store. What they didn't buy, they will at least recycle for her. So the house is getting much less cluttered. The dining room is free of all but one piece of furniture that doesn't belong there. The back guest bedroom is back to normal. The office room is much less cluttered too. Mum even let us in there to look around on Caturday. Mum got a picture of Bunzer yesterday too when she went to visit and watch the Packer game with Grampie. One of the big TV's is in the kittie room, so that is where they sat to watch the game. The Pack - They won, home opener and pretty much kept them Buffalo's under control. Grampa Brett and the ViQueens - Grampa Brett turned the ball over 4 times, one fumble which the Fin's got a TD on and then three INT's. The Colts - It was brother against brother in the game, Manning vs. Manning. In the end brother Peyton and the Colts prevailed. This year The Good Ship SassyCat has a new mate to join in. Ducky or with his pirate name Dirty Jack Kidd. They are called red, orange or ginger cats, and they seem to be everywhere - especially the males. The red gene is carried on the X chromosome (so males need only one copy of the gene), and the red overrides other colors carried on the other genes. 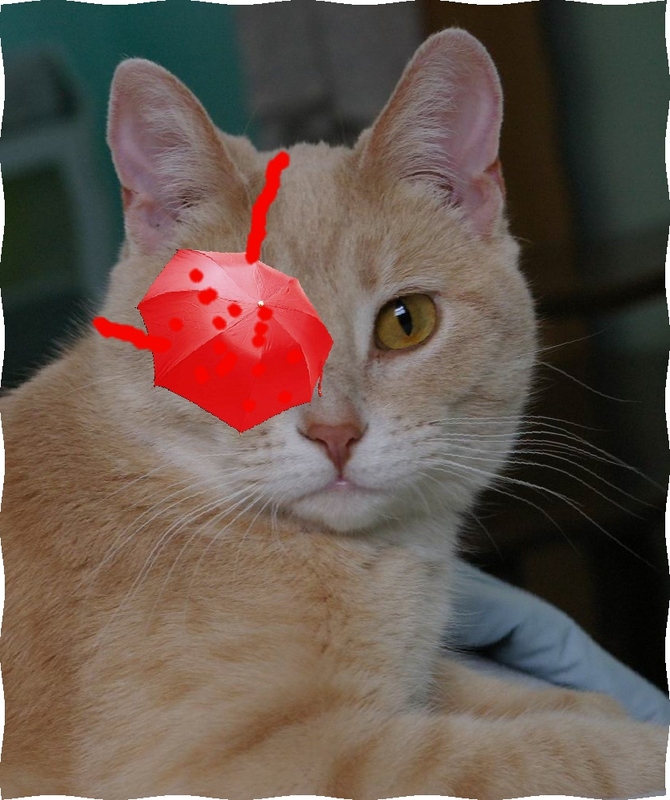 One more fact: Red cats arose in Asia, but the main spread of the color started with the Vikings. So a bit of facts on how we glorious, gorgeous ginger are what we are. Weekend is almost here. Maybe we can get mum to stay home for a bit with us. She keeps coming home and going off to see Grampie. When she comes home she is bummed out. Grampie has improved a bit, but is also very confuzzled as to where he is. That makes mum sad. The place where Grampie is has kitties in it though! So it must be a good place to be. Mum says she won't take us to visit as we are not Grampie's kitties. Plus we might run off and get lost in the building or get in a fight. Four kitties live here, mum has seen two of them. Two kitties per floor, girl kitties on Grampie's floor and the boys live upstairs on the second floor. They get to wander all over but they know not to get on the levitator to change floors. Mum hasn't been upstairs to see the boys since Grampie is on first floor. Bunzer the other kittie on the first floor mum has only seen once wandering around. Mum says this is Schatze, pretty, long haired kittie. Really soft to pet. Mum even took some treats along to give to her. They have a little room towards the front that people can use to visit and watch TV. Here is the food and water bowl, a kittie condo and the necessary box is behind the plant! Hope everyone has a good weekend. We are going to see if we can cheer up mum some. 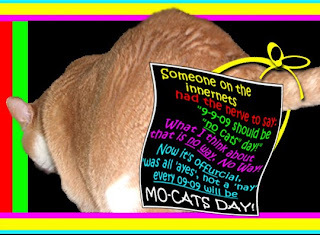 The deadline is September 16 to vote in Monty's Q contest. Please go and vote for me. Just to remind you this is my entry! That way I don't get lost in the other entries in other categories. I am in the Best Monty Q category. Here is the other one that mum thought about entering. One of my early photo's here as I was hanging out with Mum on the sleepy spot. If you want to see the rest of my outtakes you can go here. This is one of our fav spots. The back of the couch. We can see out windows from here, mum is usually sitting in front of us, which means it is easy to get treats from here. Mum took time to work outside in the yard today. Used the grass cutting monster, cooked lunch outside or at least part of it. Took pictures of flutterbys that came by too. Mum says she hasn't had many of these days this year between doing stuff for Grampi, the heat and mosquitos too. Mr Monarch, mum said she had four of them flitting about the butterfly bush at one time. A different flutterby on the cone flower. A goldyfinch eating at a sunflower that the squirrels planted for mum. It is that time of the year again. Feetsball season, so here is our first report. The Pack - They won, beating the Eagle birds. Grampa Brett and the VikQueens - lost to the Saints, mum said Grampa Brett looked rusty. The Colts - They lost so no worries about an unbeaten season. In the past few years they have gone late into the season before getting beat. Mum says he is crabilated and wished he could go home to heaven. Mum keeps gently reminding him that God will come for him when God is ready for him. Mum went to watch the Packer game with him, but he was too tired to watch the whole game. His breathing wasn't good today so he was getting extra oxygen. It is time to vote in Monty's Q contest. Please go and vote for me, you need to vote by next Thursday September 16. So here is "MO" of us. 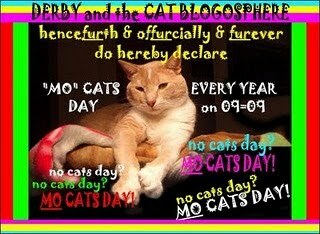 Happy 'Mo Cats Day'. Grampie Update: Mum said they did the chest tap and took out lots of fluid, so he is breathing better. He still needs work on getting stronger, so is now went to a place down the hill from the hospital to rehab. 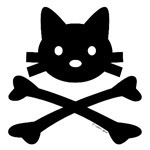 Thanks for your purrs. Mucho thanks to Zoolatry for the graphics as ususal. Feel free to take what you want to use. The top one and this one is post size. 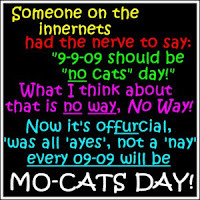 Don't forget to post on 9/09/2010! PS - Grampie update. Still in the bean hospital, dealing with fluid on his lungs. Medicine didn't take it away, so now they have to drain in out. Mum calls it a tap. 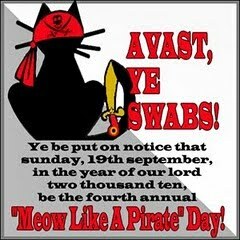 Keep on purring dudes and dudettes! Hi Ducky here. Mum has asked me to rev up my purrer. She has been busy with Grampie since Thursday. Here is what happened, first mum took Grampie to the ER on Thursday. He fell and his neck hurt. It was just a sprain and they sent him home. Then Friday he had a bad headache so mum took him back to the ER. It wasn't his head that was the problem but his heart again. It isn't working as well as it should so they put him in the hospital to give him some special medicine. Mum has gotten home furry late the past few nights because of this and then spending lots of time with him during the day. So if you have some spare purrs for Grampie we would appreciate them. Thanks everyone.